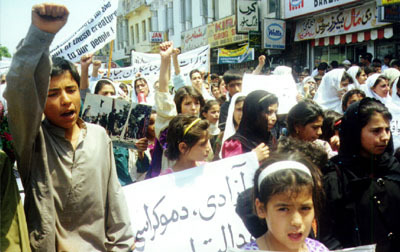 Children of RAWA schools also chanted slogans demanding restoration of human rights in Afghanistan. 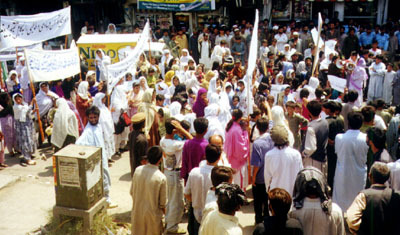 The demonstrators were addressed by RAWA activists amidst slogans chanted against Taliban and Jehadi fundamentalists. 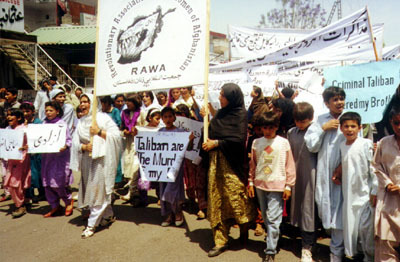 Gathering in front of the United Nations Headquarters in Islamabad, RAWA members handed a RAWA statement to the concerned officials and demanded that the UN use all means and resources to put an end to gross human rights violations in Afghanistan by the fundamentalists. 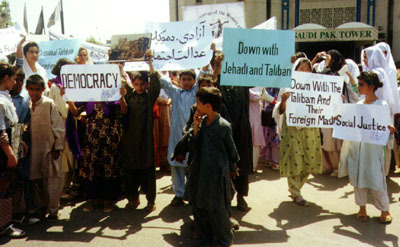 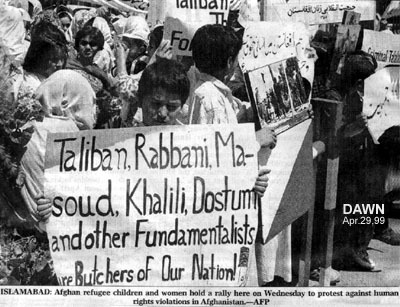 Participants carried banners and placards in Pashtu, Persian, Urdu and English inscribed with slogans denouncing Taliban and all fundamentalist bands. 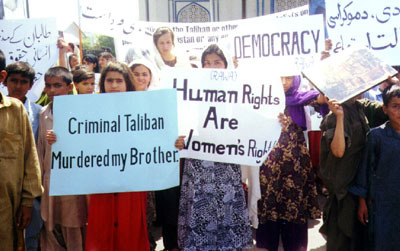 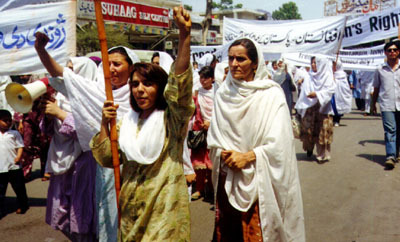 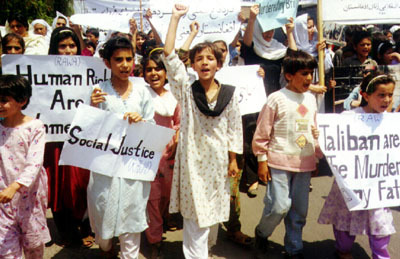 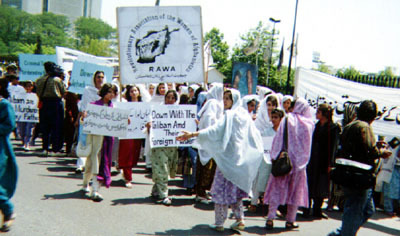 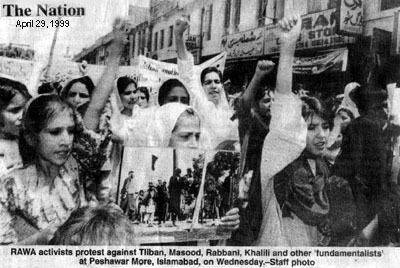 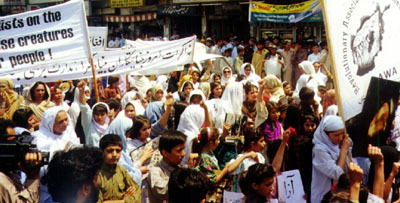 A large number of Afghan refugee women in Islamabad joined the protest rally.